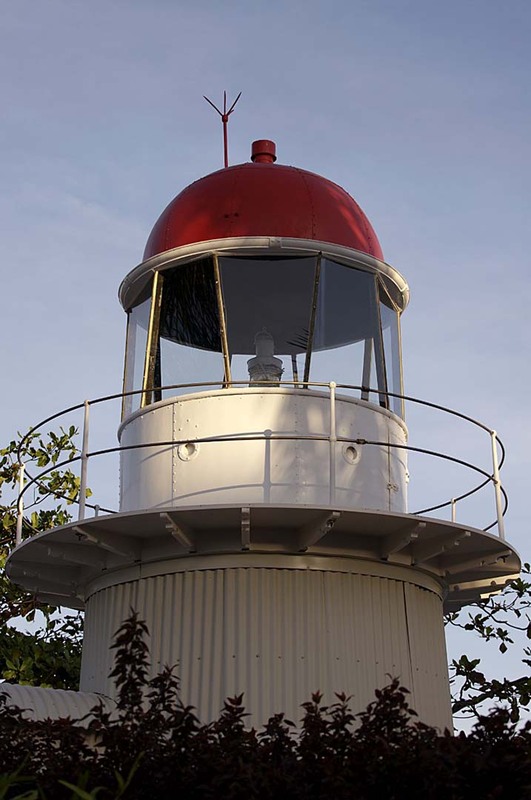 Bay Rock Lighthouse | Lighthouses of Australia Inc. 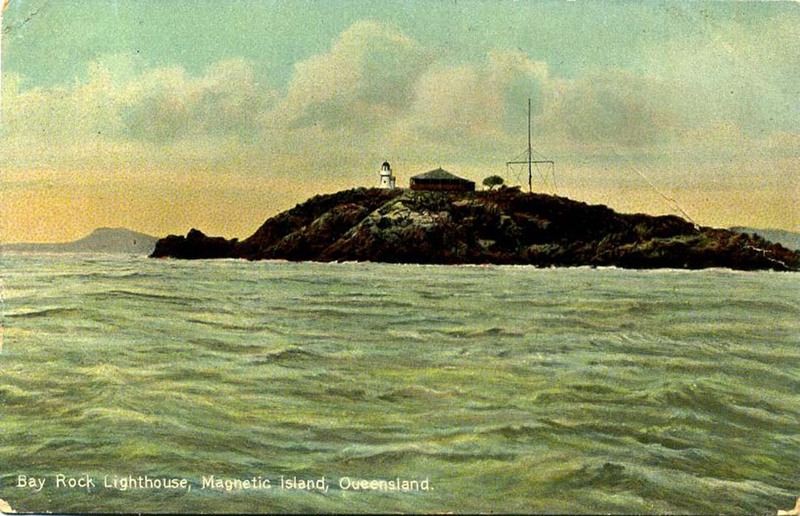 The former Bay Rock Lighthouse of Magnetic Island. Bay Rock was owned by the government and used solely for lighthouse purposes. 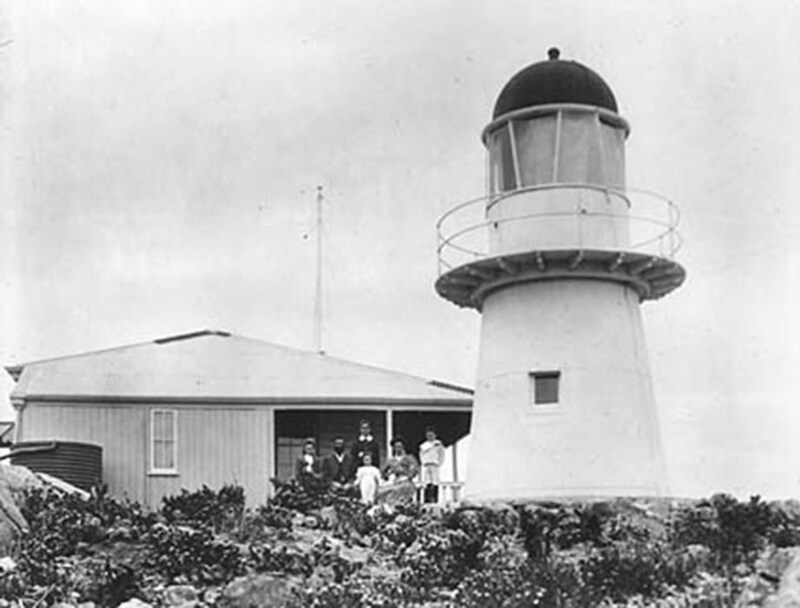 The lighthouse, completed in 1866, was one of the first 4 or 5 to be built in Queensland. It has historical significance as it was initially used extensively by vessels making for the quarantine station anchorage on West Point, Magnetic Island. 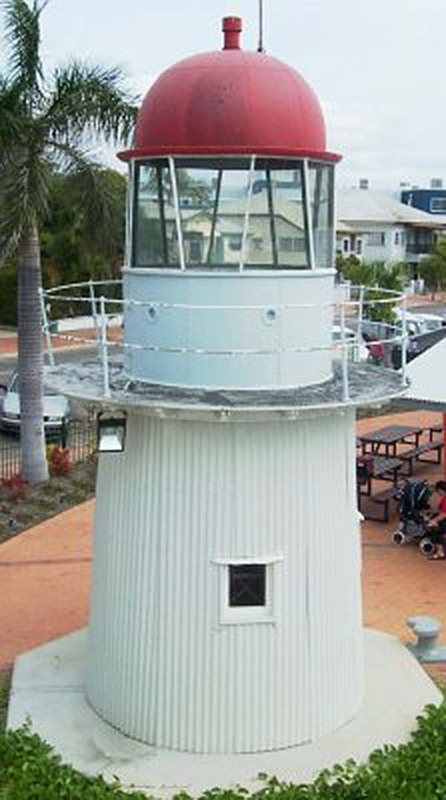 The lighthouse was standard white sound timber-framed, zinc anneal-cladded tower with standard equipment. A lantern and beam projection apparatus was used with an open flame acetylene gas burner. The original light stood 29 metres above ground. The last keeper left in 1920 and the light was automated in 1930. The last occupants were John Albert Edward Lawson and his family. He started his service on Gatcom Head near Gladstone. He was tragically lost at sea while returning to Bay Rock. His descendants still live in Townsville.